International Space Station (ISS) is in trouble again. One of the two Thermal Control System (TCS) loops (Loop A) is malfunctioning due to a troublesome Flow Control Valve (FCV). This is nothing new for the ISS and such malfunctions have happened before (e.g. in 2010 during ISS Expedition 24). The whole current situation is nicely explained (as nice as such complex systems can be, see for example this try of mine to describe US segment TCS for perhaps half a page shorter version) in this Spaceflight101 article titled Space Station encounters Thermal Control System Failure (ISS Expedition 38). ISS Updates, 4:27 AM - 12 Dec 13: Power down US Systems to the bare minimum & move crew to Russian segment until repairs can be made. Otherwise - de-crew ISS. How long can a single US segment TCS provide adequate thermal control and some of its less mission critical client equipment and/or whole ISS modules need to be shut down? Have any scientific experiments suffered permanent damage or serious delay during past such failures of the US segment TCS? Additionally, is there any predetermined order in which equipment is to be shut down or unplugged from ISS's Temperature and Humidity Control, and how far in the list are ISS laboratories and their experiments? The failure you're referring to occurred in December 2013, Expedition 38. With the valve no longer closing, Loop A (of the External Thermal Control System) lost all of its thermal control capability. As a result, thermal loads on that channel had to be reconfigured to protect ISS systems. The Internal Cooling System that circulates water through a Low Temperature Loop and a Moderate Temperature Loop can be configured to operate in a single-loop mode for contingencies like this so that critical systems can remain powered-on. 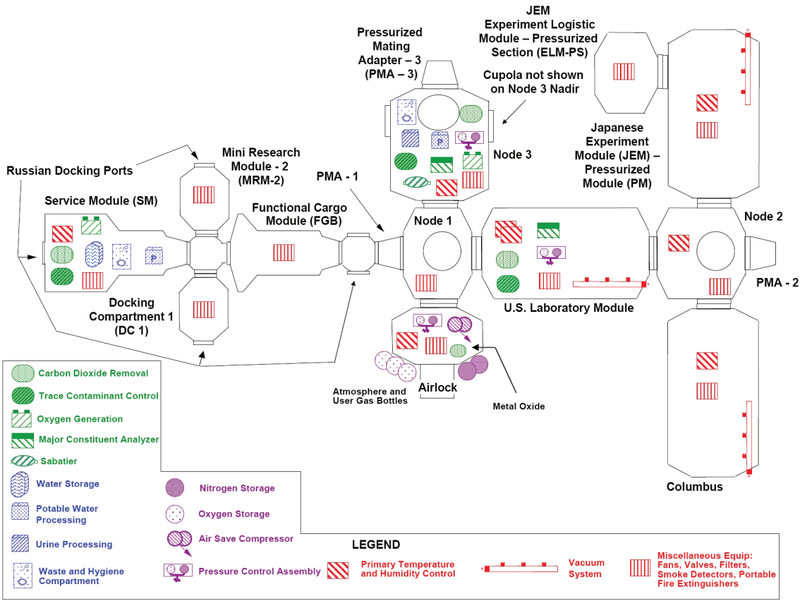 Single-loop mode was configured for the US Lab, the Airlock and Node-3. The Harmony node does not have single-loop capability so that half of its systems had to be switched off (all those connected to the Moderate Temp Loop) - one of two Multiplexer/Demultiplexers and four of eight Direct Current Converter Units. With that, half the systems of the Japanese Experiment Module and the Columbus module were deactivated. All critical systems of ISS remain powered and in nominal condition, and ISS is in a stable thermal configuration using Loop B of the External Thermal Control System. However, operating on a single cooling loop leaves ISS in a non-fault tolerant configuration. Should Loop B fail for some reason, the situation would get much more serious for the crew members on board. That is why Mission Control is trying to restore full thermal control capability as quickly as possible. So the system is not fully redundant: some of the systems in the Harmony node had to be switched off until repairs were made. And with half the power supply from Harmony unavailable, 'half the systems of the Japanese Experiment Module and the Columbus module were deactivated'. I have not been able to track down a list of affected experiments. There is a list of all experiments in Expedition 38, and a day-by-day list of activity on the ISS including experiments. These don't specify the results of the experiments, and I suspect the day-by-day list omits longer-running experiments. As for how long this situation could be maintained, the sentence "All critical systems of ISS remain powered and in nominal condition" suggests the system could operate like this indefinitely. Not the answer you're looking for? Browse other questions tagged iss procedure experiment thermal-control eclss or ask your own question. 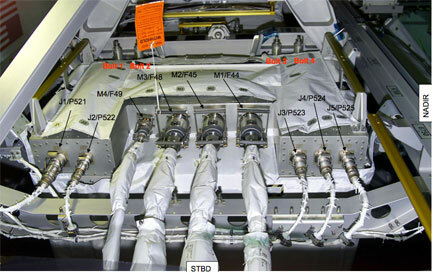 Why did NASA assess 3 separate and over 6 hours long EVAs are needed to replace a single failed Pump Module (S1 PM)?